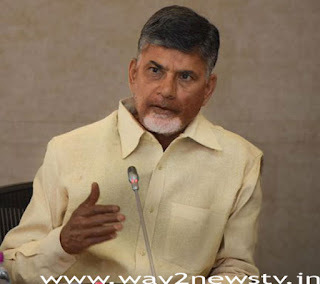 Amravati, January 8, (way2newstv.in):Chief Minister Chandrababu said that the birthplace of the village was successful. On Monday, the birthplace of water, sponsored by the CE teleconference. For the remaining 3 days, the authorities have ordered the success of the birth place to be successful. Chief Minister Chandrababu Naidu said that the yatra is the birthplace of the sacred Yajna in the society. The third installment has been ordered to pay the farmers in these moods. Babu said, "We have taken the initiative to promote the love of agriculture and the importance of nature," Babu said. In telecommunication, nodal officers, collectors, and public figures participated. The Chief Minister said that the provision of the birthplace complaints through the branches and the budgetary allocations for their respective departments. Ordinarily complain of non-financial complaints. Financial complaints are to be fixed in priority order. In Rabi, the distribution of crops is only 50%. Kurnool, Srikakulam and Vizianagaram have been directed to increase the speed.